 Janine Zacharia is a former Jerusalem bureau chief for The Post. Israel wrapped up its ground offensive in Gaza last week and declared its tactical objective achieved: All of Hamas’s known “terror tunnels” were destroyed. But given the devastation this military operation caused in Gaza — hundreds of innocent Palestinians killed, thousands injured and displaced, whole neighborhoods flattened — and the cost to Israel in military casualties and international reputation, it’s worth asking: Was there another way to solve the problem? This kind of technology wasn’t, it seems, a secret to the Israeli army. An Israeli officer involved in military planning told me that, in fact, the IDF located and destroyed some 10 tunnel shafts from Israel’s side of the border after Hamas used a tunnel to capture Israeli soldier Gilad Shalit in 2006. But Israeli decision-makers deemed the tunnel-detection technology too primitive for a broader investment. Israel viewed it as only a partial solution, not a game-changer like the Iron Dome anti-missile system. Tunnels that enabled militants to move underground — out of sight of Israeli surveillance — but didn’t terminate in Israel wouldn’t be addressed by a border-mapping system. Moreover, I’m told that Israel had a better sense of where the tunnels originated in Gaza than where they terminated in Israel, making invasion more attractive to the military planners charged with locating and destroying them. More significant than the military’s skepticism, however, may have been decisions by Israel’s political leadership. Though the tunnel threat was recently portrayed in Israel in existential, cataclysmic terms to rally public support for the ground offensive, it was a much lower priority strategically in recent years than Iran’s suspected nuclear weapons program and Hezbollah’s missile arsenal. Several cross-border infiltration attempts by Hamas militants in July, carried out as Israel pursued its air offensive to stop rocket attacks, terrified Israelis and bolstered support for the tunnel-destruction mission. It’s worth remembering that Iron Dome didn’t work well at first. The technology cost at least $1 billion to develop and deploy, and there was political resistance inside Israel, especially from the military brass, to investing so much in a defensive system. But after the 2006 war with Hezbollah, during which Israel had no answer for the barrage of rockets fired by the Lebanese Shiite militia, the system became a higher priority. And today Israel has a stunning technology that can shoot a rocket out of the sky. Had Israel invested the same energy into the much less complicated technology required for tunnel mapping along a tiny 32-mile border, perhaps it could have neutralized this threat in a less deadly way. Israel is, after all, no technological slouch, and, unlike rockets, tunnels are not moving targets. Famously, Israeli programmers reportedly succeeded in infecting Iranian nuclear scientists’ computer servers with viruses that set back that country’s nuclear program significantly. Israelis today are at the forefront of just about every cutting-edge technology. Another option, of course, was diplomacy. Instead of invading, Prime Minister Benjamin Netanyahu could have rallied the international community around the tunnel problem the way he has rallied it to sanction Iran over its suspected nuclear weapon program, or the way he is campaigning now for a “demilitarization for development” solution in Gaza. He implicitly acknowledged that there could have been a political solution to the problem by agreeing to a cease-fire with Hamas before the ground invasion began. If that cease-fire had held, Israel would not have gone into Gaza to destroy the tunnels. When it failed, Netanyahu simply capitalized on Israelis’ support for a war against Hamas — and their fears — to expand the objective from stopping the rockets to destroying tunnels. It was an opportunistic move.